Enigmatic Realism describes a kind of art, music or literature that acknowledges that there is an enigmatic or mysterious component of our life. The artwork explicitly demonstrates this component. The name covers the contemporary work of many artists whose work intends to guide their viewers´ aesthetic perception towards a reflection on metaphysical issues. 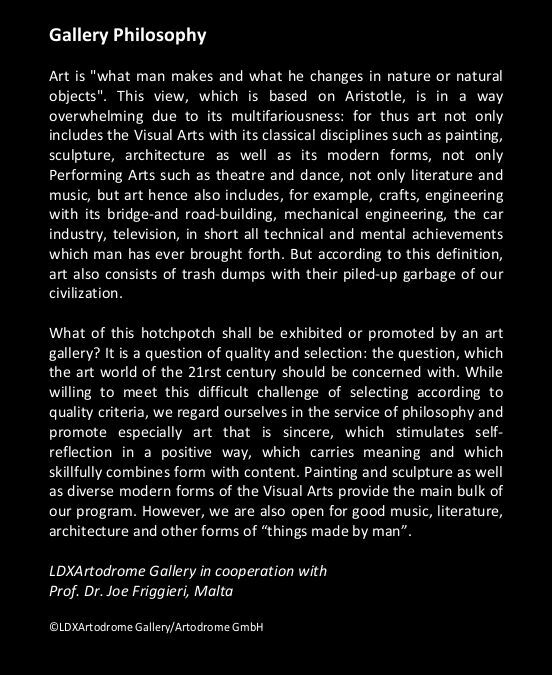 The phrase has been used randomly, adopting only a very general meaning, but as a clearly defined concept it was coined by Joe Friggieri, Professor of Philosophy, poet and theatre director, and art historian Christine Stefanie Kunkler in Malta in the beginning of 2016. It defines the work of a large group of independent artists who have hitherto not been considered as a single, well-defined movement. Pieces by the contemporary artists Anne Hefer (Germany), Uta Polster (Germany), Susanne Scholz (Germany), Karin Mulawa (Germany) und Sanna Myrttinen (Finland) are examples of Enigmatic Realism. Artists of the Enigmatic Realism movement seek to question what they see as the scientific consequentialism of the modern world but without rejecting the importance of science. This art movement embraces the idea that despite the scientific advances of the past millennia, the great philosophical questions remain unanswered. Enigmatic Realism appeals to the viewer in an aesthetic form but uses this to guide the viewer towards considering the metaphysical nature of the world. Through their visual perception, emotions and imagination, the artists create works that encourage self-reflection and thereby, ultimately, aim at promoting an appreciation of our environment. The art of Enigmatic Realism is an appeal to the imagination of the viewers, but it also seeks to bring about catharsis, the purifying effect. It is the effect of rethinking, rediscovering and re-evaluating the wonders of our world, both the physical world, and also the metaphysical. Enigmatic Realism is not limited to certain technical or stylistic methods. It neither emphasizes the form nor the content of an artwork, but views them both as a unity. The artists whose work is subsumed under that title seek to combine a revisiting of the clearly comprehensible physical world with an interpretation of its enigmatic, mysterious components. These include dreams, random occurrences, things that are incomprehensible or difficult to grasp but are none the less part of reality. Some artists also feel inspired by the Asian concept of the ‘Yin and Yang’ where the void, the empty space that is left free for thoughts and reflections, is placed in opposition to the fully occupied space in the artwork. Beauty is brought about by harmony as well as through clear, figurative structures. Simple language is employed which is on the other hand obfuscated, distorted or crossed by fantastic images or monochrome surfaces in order to let the imagination run free. These insertions offer the opportunity for contemplation. The viewer´s thoughts are guided by some texts or thoughts that accompany the artwork: these can range from its designation as “artwork”, to its author´s name, its title, accompanying poems, its linkage to the art movement, criticism or artistic statements. Enigmatic Realism gains its strength and power from the exchange of the visual image, words, imagination, and subconscious association.